Revere Ware is most well known for its copper bottom cookware. 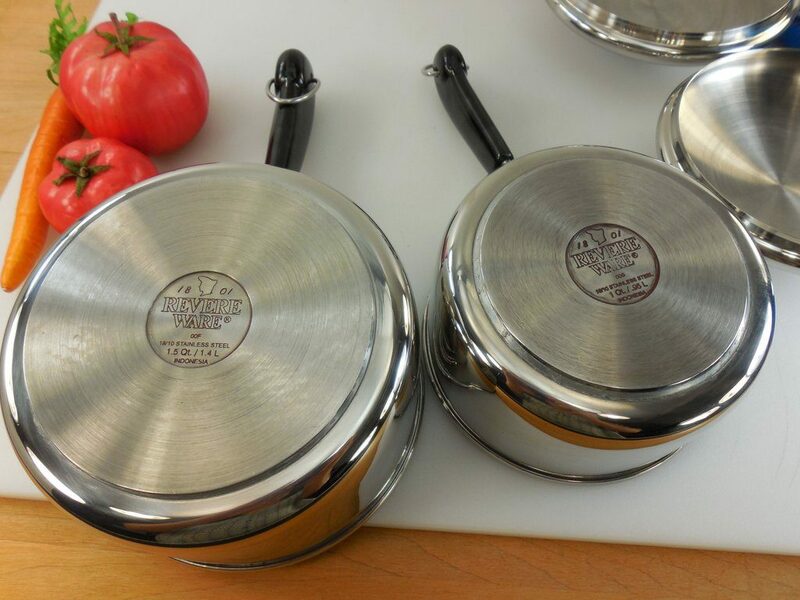 An often overlooked variety is the aluminum core Tri-Ply cookware, which has an aluminum disk on the bottom of the piece sandwiched between an inner and outer stainless steel shell. 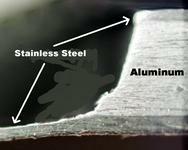 An aluminum core is what most high-end cookware uses today to spread the heat out evenly. The bottoms of these Tri-Ply pieces can be identified by the protruding disc on the bottom. 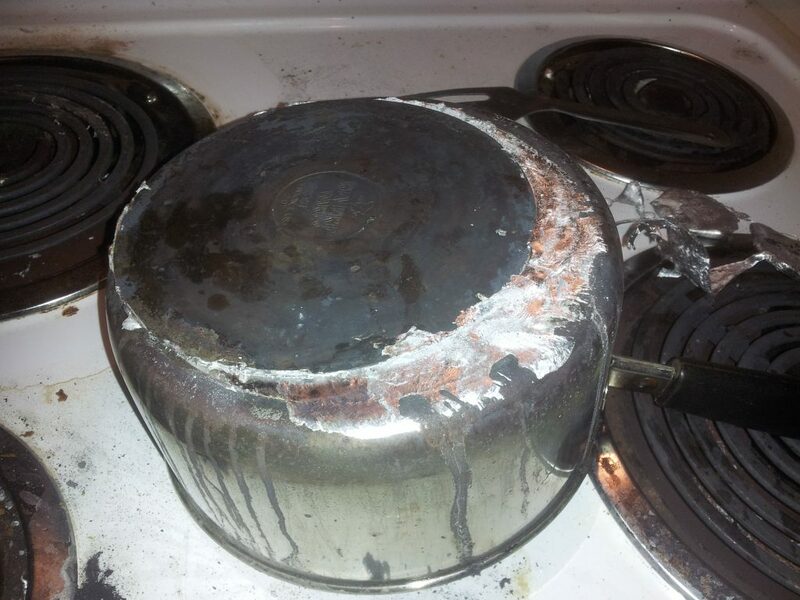 The aluminum disk is actually quite think and pretty effective at spreading the heat. Because of the construction, these pieces are suitable for glass top stoves, as they are much more likely than the copper bottom variety to remain flat. There is some danger though. If overheated to the extreme, they can disintegrate, although that is extremely rare. There were other versions of Revere Ware deemed Tri-Ply as well, that contained a carbon steel core between two stainless steel layers. They were made to look like the tradition Revere Ware pans, sans the copper bottom. I much prefer the aluminum disk variety over these, as I think they are better at spreading the heat. The carbon steel core variety will not have the round disc on the bottom. I have a stainless steel Revere Ware roasting pan, 13 x 9 x2, #item 60098, and the stainless steel rack which fits inside the pan is broken. I want to buy a replacement rack. Unfortunately we don’t supply those. Your most likely option would be to look to eBay to find another set you can poach that rack from.